Specialists accountants for estate agents Goringe Accountants helps a startup Estate Agent business grow in a difficult market. 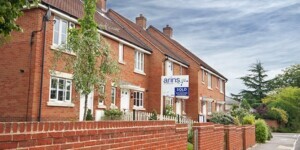 Opened in 2009 Arins Estate Agents is a professional team of estate agents based in Reading. The brain child of partners Richard Broomes and Alan Field, both highly experienced negotiators with a combined 33 years of experience, Arins Estate Agents is a true success story in what has been one of the most difficult property markets we have seen in recent history. The key to their success has been the hands-on approach both Richard and Alan have taken towards the day-to-day running of the business. Something that could not have been achieved without the support of Goringe Accountants. With a vast amount of property market experience under their belts and unrivalled knowledge of the Reading area, Richard and Alan saw a gap in the market for an independent estate agency business offering big business professionalism combined with small business personal service. However, they realised that in order to be truly successful they would need the support of an accountancy firm that bought into their vision and shared their belief that with the right business model in place it was possible to be successful in both a tough economic climate and highly competitive local property market. Several firms were considered before they instructed Goringe Accountants – specialist accountants for estate agents. They felt that unlike the others Goringe Accountants were a likeminded business offering a high level of personal attention detail and an approach that was tailored to the individual needs of their business. Goringe Accountants offered a true partnership approach. We felt that they were truly invested in doing whatever it took to help us make our business success. They did not just simply take over our financial operations for their own benefit but helped us to help ourselves. This is a rare quality and one that we have grown to cherish. By working with us to improve our financial knowledge they have ensured we have total ownership of every aspect of the day-to-day running of our office and helped us make decisions which have hugely influenced the progress of our business. Initially providing advice on setting up the business and managing quarterly VAT and annual tax returns, Goringe Accountants have expanded the services they provide to Arins Estate Agents at each stage of the growth of the business. Today they provide the full range of services including bookkeeping and payroll management. Nicky Larkin is a pleasure to work with and I truly value her advice. I think if I phoned her at midnight she would not only answer the phone but would not moan. Always going the extra mile to help, she has real insight into the needs of our business and always provides practical and realistic solutions to the problems and issues we face. The future is incredibly bright for Arins Estate Agents. With their distinctive, professional yet personal approach they have built a business that sits proudly alongside the larger estate agents operating in their market. From initially offering property sales they have now extended the scope of their services to include lettings, property management, legal and mortgage advice services. The next few years will be a busy time, the business has grown beyond expectations and they are planning the opening of another branch within the next 12 months. Check out our top rental income tax tips article for more useful information.